���Bucharest Casa Locato Hotel is designed for your comfort and privacy, providing an individual touch to create a friendly and cozy atmosphere. ��The 21 apartments of our hotel have living room, bedroom, en suite bathrooms, balcony and kitchen, self catering equipped help tourists both to save money and enjoy the place as if it were their own. All the apartments are provided with sound-proof windows, elegant furniture, wooden floors. 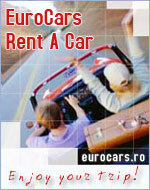 ��Near the hotel there are several banks and exchange offices where you can get the Romanian currency legal and safe. Next to the hotel are located supermarkets, 24/7 stores, farmers-market. Some of the interesting monuments and tourist objectives might be: The Triumph Arch - 3 min, The Village Museum - 5 min, Gala Art Gallery - 3 min.